Croton "Gold Dust" plants are found in landscapes and indoors as houseplants solely for their good looks. The plants grow to a maximum height of about 3 feet, although other members of the Croton family grow up to 6 feet, with a spread only about 2 feet wide. Their wide, gold-flecked leaves are a deep green color, but this beautiful appearance is reliant on you caring for your plant properly. For example, if the gold dust does not receive enough light, its characteristic yellow spots will fade. 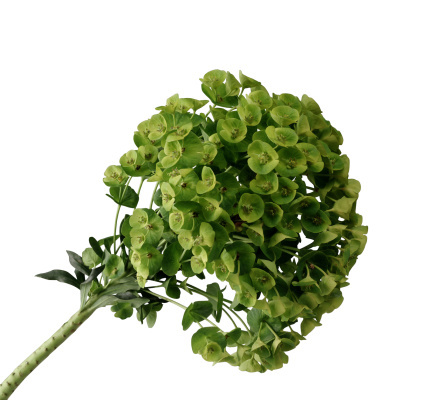 Take proper care of your plant to ensure its good looks for years to come. 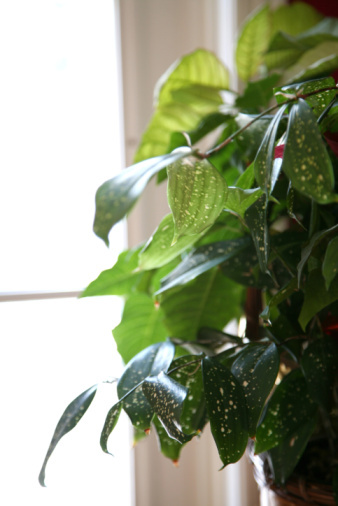 Plant your croton plant in well-draining soil to prevent insect and mold issues. If you're planting it in a pot, use a pot with drainage holes, and fill the pot with a mixture of equal parts sphagnum moss and perlite. Outdoors, consider mixing 2 to 3 inches of moss, perlite or aged compost into the soil to aid with drainage. Provide your croton with at least six hours of full sunlight each day to maintain the look of the leaves. If it's outdoors, make sure there are no overhanging plants that will block the sun. Indoors, keep the plant in a sunny window, or move it from location to location throughout the day to make sure it receives enough light. Water the croton at the first sign of wilting in the leaves, or whenever the top inch of soil feels dry to the touch. Indoor crotons will require more frequent watering — sometimes every day — than outdoor crotons, which generally need to be watered once per week. A little wilt will not harm the plants, so allow them to dry out between watering. Feed the gold dust plants with a liquid or slow-release fertilizer in the early spring, when blooming begins. The fertilizer should have a 3:1:2 ratio of nitrogen, phosphorus and potassium; this should be indicated on the box or bag in which the fertilizer comes.